« TENNIS SYSTEM ANNOUNCES EAST COAST TOUR! Some lucky KILL/HURT fans might already be in the know about the sheer awesomeness of KH007 from the presale email we sent out this morning — but for the rest of you, there’s a w hole week to get excited about our newest release from Long Beach surf rock trio Tijuana Panthers. Max Baker, the band’s first full-length LP, combines gritty, uptempo garage jams with elements of 60s pop; it’s the perfect album for the end of the summer! But, don’t take our word for it and stream the entire album below! In other exciting Tijuana Panthers news, the band plays FYF Fest in Los Angeles this weekend, opening up the Michaelangelo Stage at 1:20pm before Ty Segall. We’ll see you at the show! 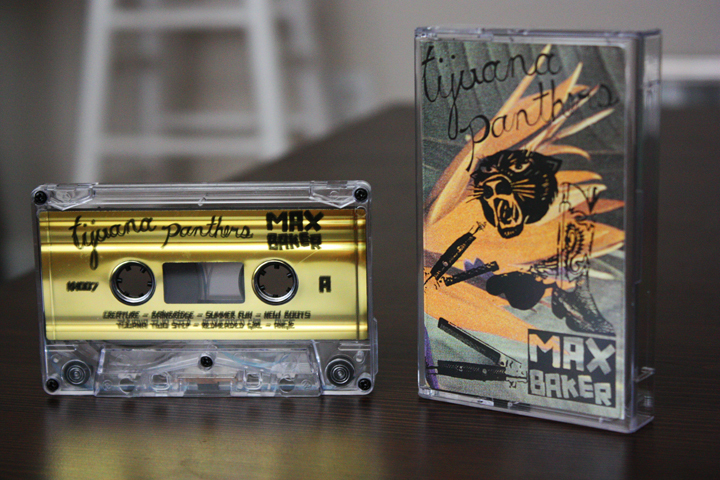 This entry was posted in SHOWS, TAPES, TIJUANA PANTHERS.